To perfectly complete and finish a room our trims and moldings receive the same meticulous attention to detail as our flooring boards. Baby Threshold finishes the edge where the wood floor ends. Also designed to make different floors fit together, such as where wood to carpet. Buy online Mohawk Sandstone Oak 25/32 in. Thick x 2 in. Wide x 84 in. 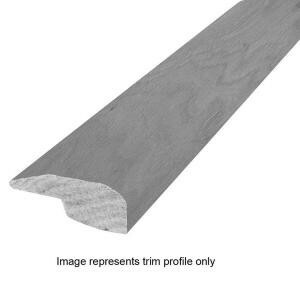 Length Hardwood Baby Threshold Molding HENDD-05485, leave review and share Your friends.